RadioShack is not dead yet. The once ubiquitous electronics retailer has emerged from its second bankruptcy, but it's a mere shell of its former self. Its court filings said it expects to operate primarily as an online retailer. But it does plan to keep up to 28 company-owned stores open, along with an undetermined number of stores owned by independent dealers. It expects to have annual revenue of about $12 million to $17.5 million. The plan to exit bankruptcy was approved last week and took effect this week. The chain had about 5,200 stores and 27,500 employees as recently as 2014. It once bragged that 90% of the U.S. population lived or worked withing minutes of a RadioShack location. But as Americans turned to online shopping, that network of stores went from a strategic benefit to an expensive burden. In 2014 it acknowledged that problem and announced plans to close more than 1,000 of those stores. Two trips through bankruptcy soon followed. Its first bankruptcy filing came in February 2015, a move that led it to close nearly 1,800 of its stores. It appeared to have found a lifeline when it partnered with wireless operator Sprint (S), which opened a store within a store in most of the remaining locations. 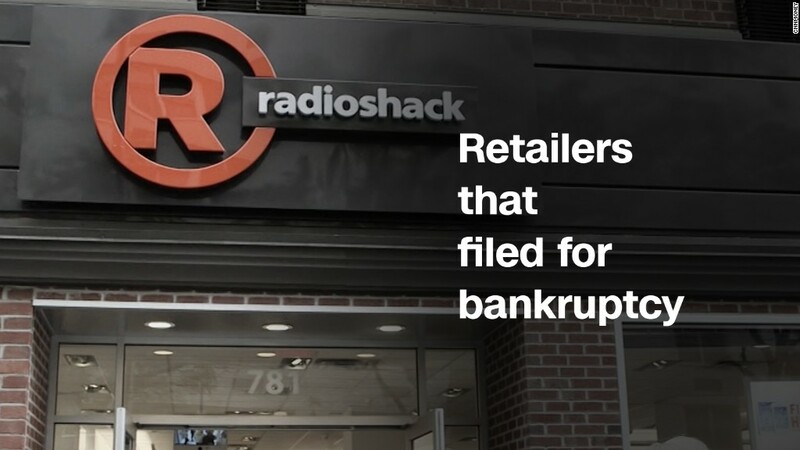 But that agreement soon soured, and in March of 2017, RadioShack's ownership filed for bankruptcy once again. By then it had shrunk to about 1,500 stores and fewer than 6,000 employees. Most of those remaining 1,500 stores have already been closed as part of this reorganization. Its bankruptcy filing does not disclose how many employees it will have going forward in its significantly smaller form. It's been a bad year for traditional brick-and-mortar retailers. So far, 588 retailers have filed for bankruptcy this year, according to BankruptcyData.com, up about 30% from the same time last year. While many are small mom-and-pop stores, many well-known national retailers have filed as well, including Toys R Us, Gymboree and Payless Shoes. Sears Holdings (SHLD), which owns both Sears and Kmart, has warned there is substantial doubt it can stay in business. Many other retailers are closing large swaths of stores. Since January 1, companies have announced plans to shutter about 6,700 stores in the U.S., according to Fung Global Retail & Technology, topping a record set during the recession in 2008. That's also more than triple the number of closings last year.